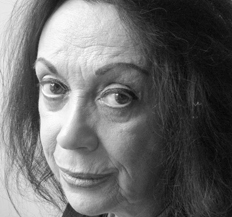 Judith Malina | Hamilton Dramaturgy's TheatreNow! Judith Malina’s podcast is currently in post-production and will be posted on the TheatreNow! website December 15, 2014. Hamilton Dramaturgy’s TheatreNow! is a sponsored project of Fractured Atlas, a non-profit arts service organization. Contributions for the purposes of Hamilton Dramaturgy’s TheatreNow! must be made payable to Fractured Atlas and are tax-deductible to the extent permitted by law.